The Miss World Bangladesh 2017 Jannatul Nayeem has said she will return her beauty crown if she is excluded in the Miss World Bangladesh. 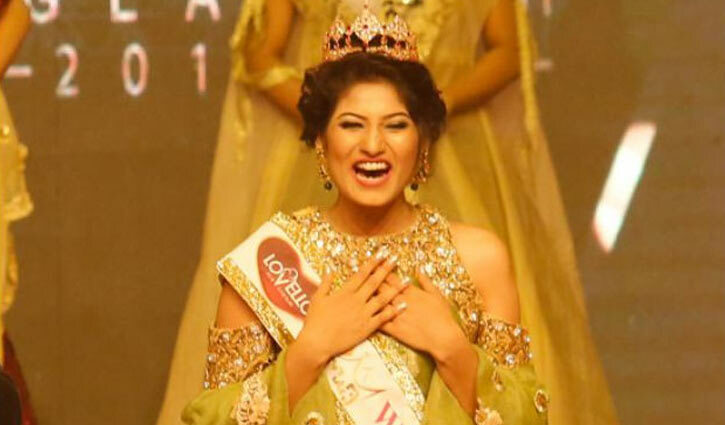 Earlier, the Miss World Bangladesh 2017 Jannatul Nayeem has reportedly been stripped of her beauty title after the news on her marriage made waves in the Media. Sources said the organisers have invited nine other finalists of the beauty contest to the prize distribution programme scheduled to be held at the Grand Ballroom of The Westin Dhaka on Wednesday. The result of the contest will be re-announced during the ceremony in presence of all the judges.